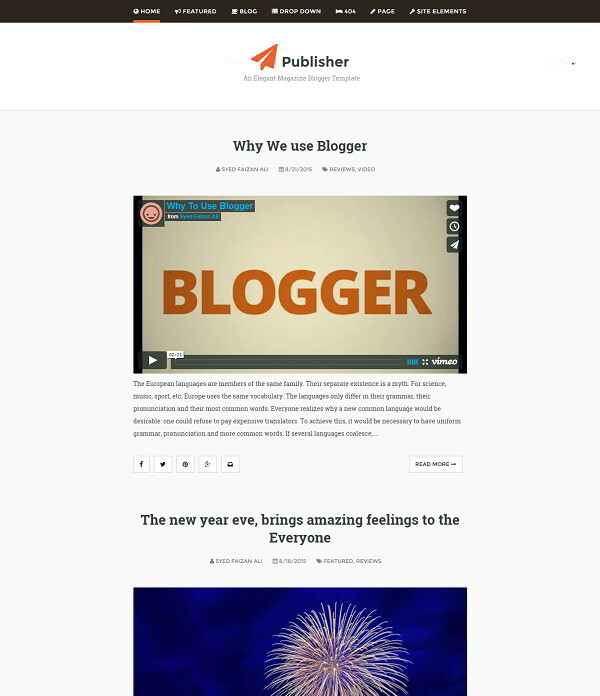 Publisher is a simple, classic blogger template. It has a full-width layout that has no sidebar and comes with some professional features such as top mega menu which can display the featured post and that make your blogging great. Publisher is a fully responsive and works with almost any of the browsers and devices.